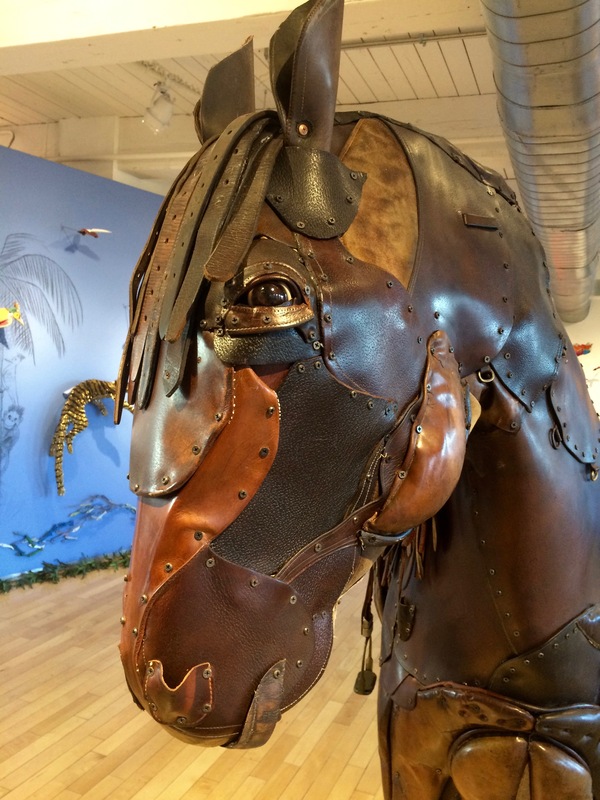 One of the “must see” exhibits at Mass MoCa for me was the horse made of pieces of saddle. I love his soulful eye. The horse is a good size. I love how his mane is made from stirrup leathers. 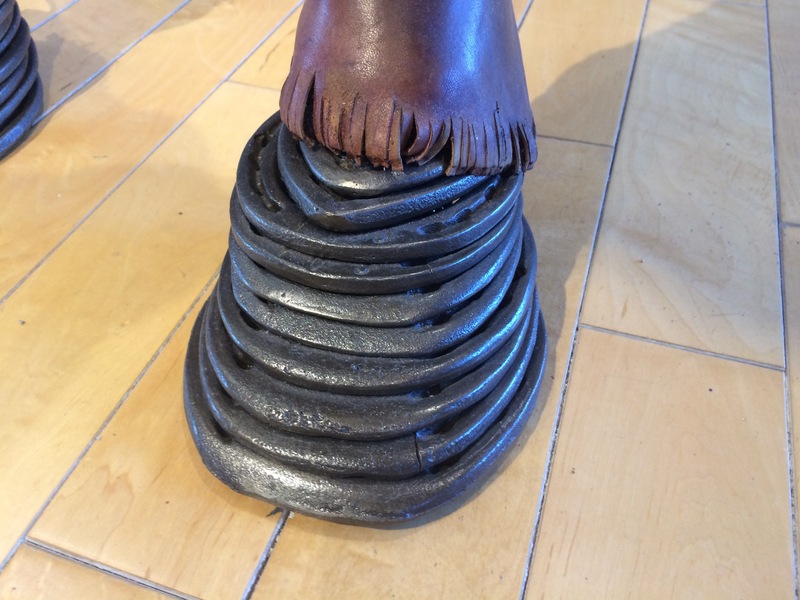 His hooves were made of stacked horse shoes. 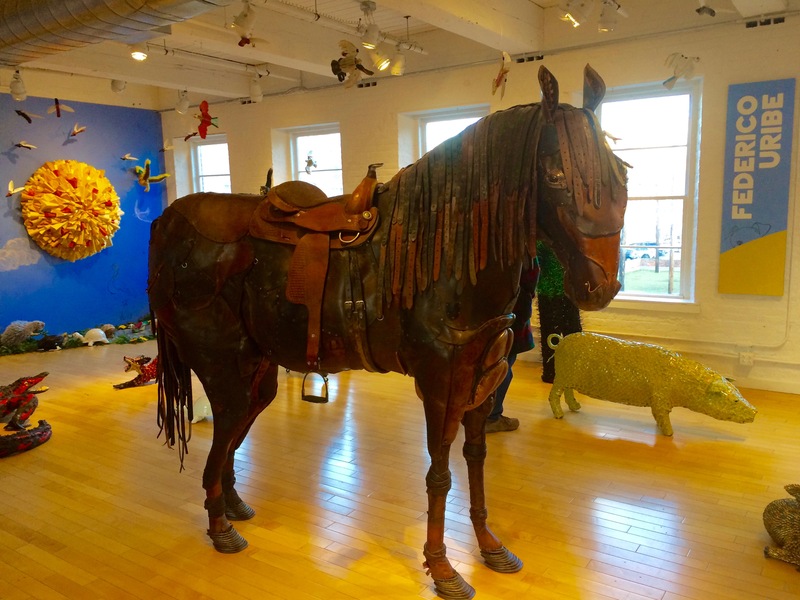 You can find the horse and many other animals in the KidSpace area of Mass MoCA. What a great museum this is! Are the days of the Big Lick Walkers numbered? Very original. Artists have such a gift for taking the ordinary and rendering it magical.